As you can see, none of them is a exact dupe 😦 Revlon Colorstay Mineral LipGlaze – Forever Raisin 540 & NARS Dolce Vita probably came closest. 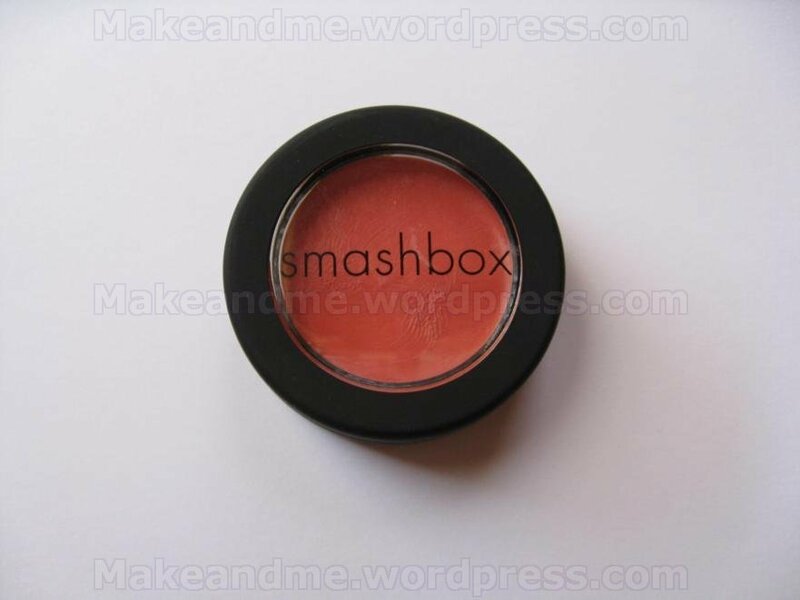 This seems to be another item that had been discontinued by Smashbox although you can find it online at a number of etailers for a fraction of the original cost. 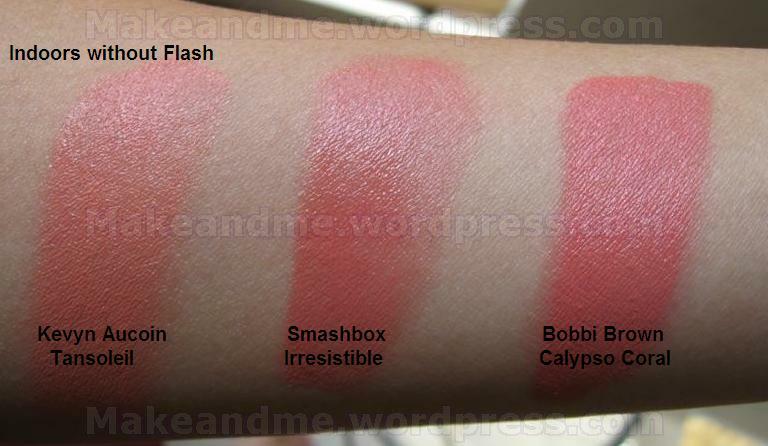 Smashbox Smashbox Double Exposure Lip & Cheek Color is supposed to bring an instant flush to your lips and cheek. It is also stated as suitable for all skin tones. The color Irresistible is described as a warm melon shade. In the pan, this looks coral than watermelon pink. In fact, once I started looking at this, I just felt like I had dupes of this. 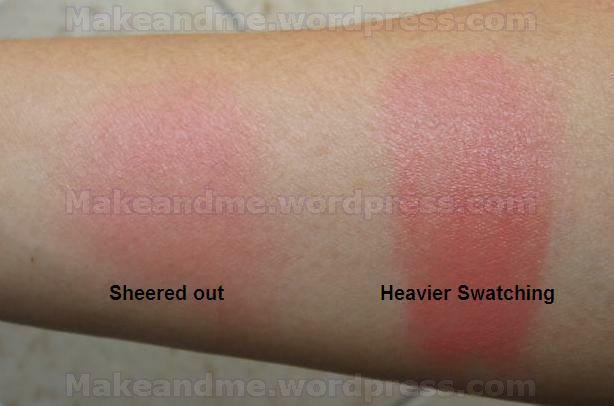 I promptly went to my blush drawer & found two blushes that looks similar to this. 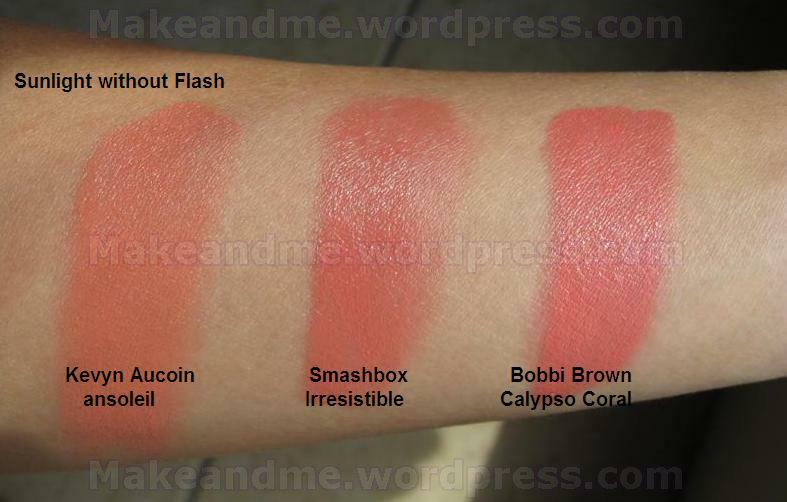 The first is Bobbi Brown Calypso Coral Pot Rouge. The second would be Kevyn Aucoin Moist Glow in Tansoleil. Here are some comparison pics. 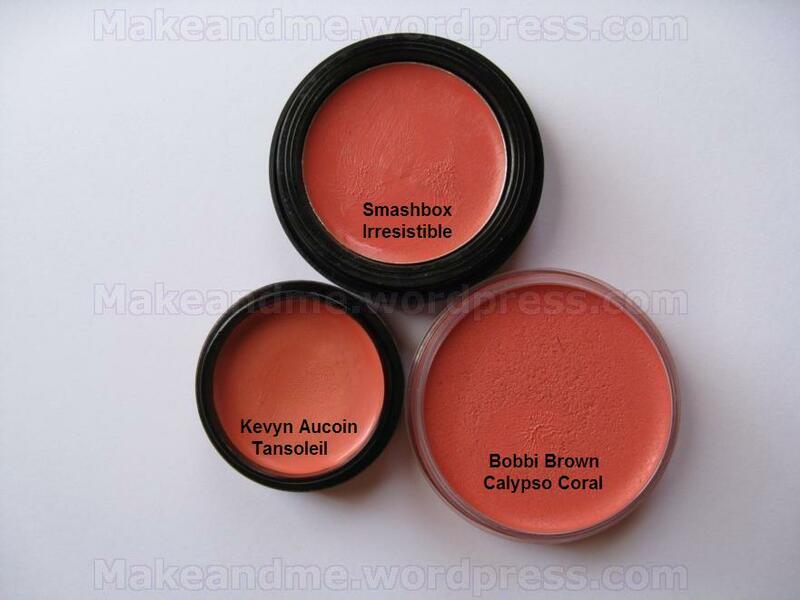 As you can see, BB Calypso Coral looks very similar to SB Irresistible. Kevyn Aucoin’s Tansoleil looks just a tad lighter. 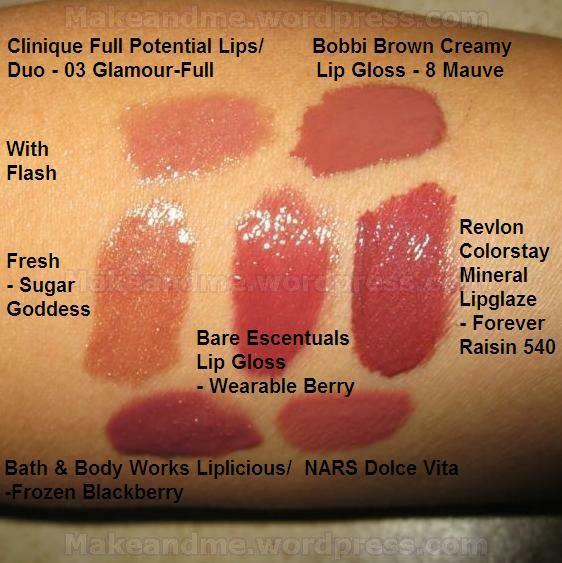 Once you swatch the product, the difference is apparent immediately. 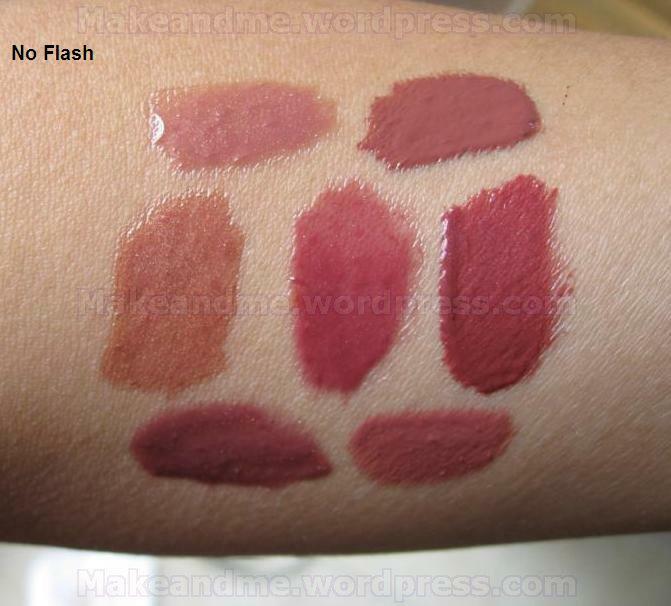 Smashbox Irresistible has the sheerest pigmentation amongst them all. It also feels the most emollient amongst them. 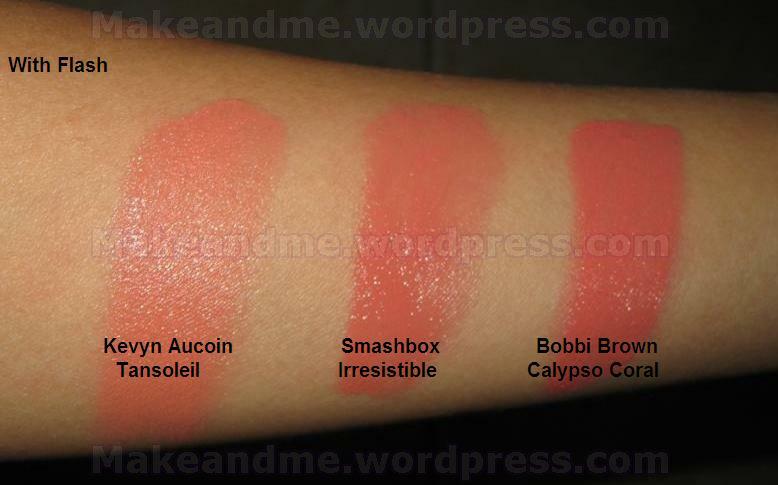 In terms of pigmentation (tested by just one swipe with my finger), Bobbi Brown Calypso Coral is the most pigmented followed by Kevyn Aucoin Tansoleil, & lastly, Smashbox Irresistible. This might be great if you want something that is sheerer & am worried about looking clownish. In the second swatch, you can see that Smashbox Irresistible looks the shiniest. In the third swatch, you can see that they all look some what similar 😀 at least to me. 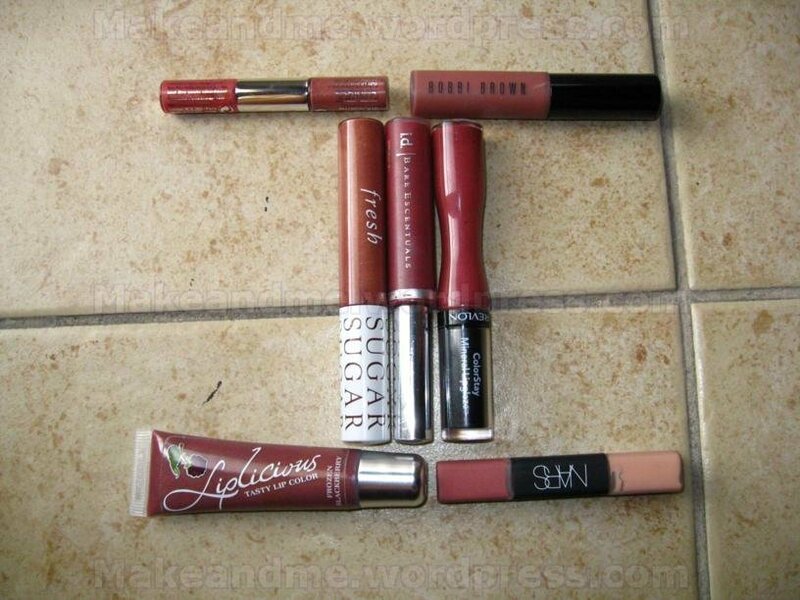 For the average consumer, you probably will not need all three blushes! As you can see, this is really pretty once it’s sheered out. 😀 On my cheeks (I apply using my MAC 109 to dab in the blush, then on my cheek, then buff), it’s a pretty coral color. Staying power of this baby is good. Minimal fading on me even after seven to eight hours. Ingredients: Caprylic / Capric Triglyceride, Octyldodecyl Stearoyl Stearate, Petrolatum, Ethylhexyl Palmitate, Bis-Diglyceryl Polyacyladipate-2, Euphorbia Cerifa Candelilla Wax, Beeswax (Cera Alba), Copernicia Cerifa (Carnauba) Wax, Tocopheryl Acetate, Aloe Barbadensis Leaf Extract, Polymethyl Methacrylate. May Contain: Mica (CI 77019), Titanium Dioxide (CI 77891), Iron Oxide (CI 77492), Red 30 (CI 73360).